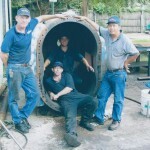 We are a full-service machine shop in Orlando, FL that offers repairs and sales of pumps, blowers, and other equipment. At Pat’s Pump & Blower, we are a full-service machine shop that offers repairs and sales of pumps, blowers, and other equipment. Our shop is located in Orlando, Florida and we provide on-site inspections at no charge to you. This is helpful for our clients, since we deal with large and heavy pieces of equipment that are difficult to move and transport. Instead of having your team load and unload the broken equipment, we will come to you and inspect the problems. We also offer emergency service 24 hours a day, since we understand the need for companies to have functioning equipment, even outside regular business hours. Our machine shop provides full repair services for most industrial and commercial pumps, blowers, fans, and other equipment. We have been in business since 1985, and our owner has a lot of experience with repair and sales of these machines. Our team is known throughout the world as the pump and blower “problem solving specialists,” offering maintenance and repair of a wide variety of brands and styles. We have a team of experts who can easily rebuild blowers, which can save your company a lot of money. If you are looking to replace or buy new equipment, we are your one-stop shop. Our priority is your satisfaction, and customer service is our main focus. We have a fully stocked warehouse with plenty of products that are ready for you to take with you, or we can order in products that you want. Our machine shop can repair or replace vacuum pumps, mobile sewer trucks and parts, lift stations, blowers, and more.